In an era when more and more people find it hard to maintain life-work balance, it seems to be critically important to understand their approach towards career and family at different life stages and acknowledge the factors which positively affect individuals in reaching their career goals while building a family. According to the Indian Journal of Psychiatry study (2010), “it is important to consider work–life balance as a priority issue and make appropriate changes in the working conditions, thereby not only increasing the long-term productivity of communities but also protecting the social fabric of our society against irreversible damage”. To understand the correlation between career and family building, in March 2018 Snapcart conducted a study among the people of different age groups (15-24, 25-34, 35-44 and >45), life stages and socioeconomic status residing in four countries, i.e. Indonesia, the Philippines, Brazil and Singapore. Total number of respondents is 10,900; 5,800; 700 and 600 respectively. How much time do people spend on work? The popular belief is that the more “laid-back” the country is considered to be, the less its people care about work. If we look at the four countries we are analyzing, Singapore is often considered to be a city with more work-related stress and a hectic lifestyle, while the other three are more “laid-back”. Does it mean that Indonesians, Filipinos and Brazilians work less than Singaporeans? Let us have a look at the data to find out. The analyzed data shows that the majority of the respondents from the four countries usually work eight hours per day, however, if we look at the data which points out the percentage of those people who work overtime during weekdays (work more than 8 hours), we can see that more Singaporeans tend to work overtime during the weekdays compared to other nationalities analyzed. However, the respondents from the other three countries tend to work overtime on weekends and holidays, as shown in the chart. Thus, we can conclude that Singaporeans are more family-oriented compared to other three countries or else they work more productively and do not need to worry much about working off-hours during weekends and holidays and can dedicate more of their time to the family. Surprisingly, Brazilians tend to work off-hours more that the others during weekends and holidays. Maybe they are more career-conscious? Indeed, it is almost impossible nowadays to imagine a person who would not check their work email or answer a few work-related messages during a holiday. Snapcart’s data totally proves that. It shows that the majority of all the respondents are not able to completely switch off from work during holidays, including Singaporeans. The majority of the respondents spend around 5% or less of their holiday time answering emails, phone calls, messages etc. related to work. Thus, we can say that all the respondents regardless of their country of origin are feeling responsible about their work duties even when on holidays. Besides, it means that career still plays an important role in our life, doesn’t it? How important do people find having a career? In a globalized and changes society, high career aspirations seem to be affecting everyone, including women. In order to have a look at how important career is for people and whether at different life stages they have different values, Snapcart analyze the data which shows the attitude of the people who already have kids and who yet don’t towards their career goals and priorities in life. When asked to which extend their career goals will change after they have kids, the majority of the single Indonesian respondents and of the respondents from the Philippines said they think they will change significantly, whereas the large number of respondents in Brazil and Singapore believe their career goals will only change a little after they have kids. Does it mean that Indonesians and Filipinos are thinking more realistically? Might be so! Or else, they are not worrying much about career now and think they will put more efforts into it in the future when they have responsibilities (kids). 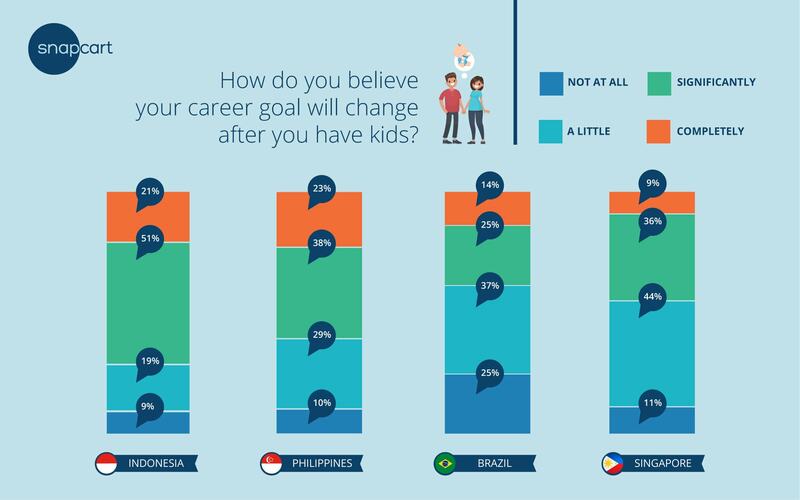 When looking at the percentage of the respondents who think having kids will completely change their career goals, it is seen again that the Indonesians and the Filipinos have the biggest percentage. Thus, it is evident that more Brazilians and Singaporeans who do not have kids consider career goals to be their top priority throughout their life (at least before they have kids) or maybe career might be not their top priority and they believe it will stay the same after they have kids. Now, the interesting and surprising part comes in. The analyzed data from the respondents who already have kids shows that the majority of the Brazilian respondents, contrary to their beliefs in the no-kids life stage, completely changed their career goals after having kids (in fact, 38% percent of them are men). Besides, according to the data, a large number of the Filipinos who completely changed their career goals to focusing on kids are men as well. It means that quite a lot of Brazilians and Filipinos (especially men) are more concerned about family than about career goals when they have kids. Besides, the data points out that quite a large number of Indonesians and Filipinos who have kids have not changed their career goals at all. 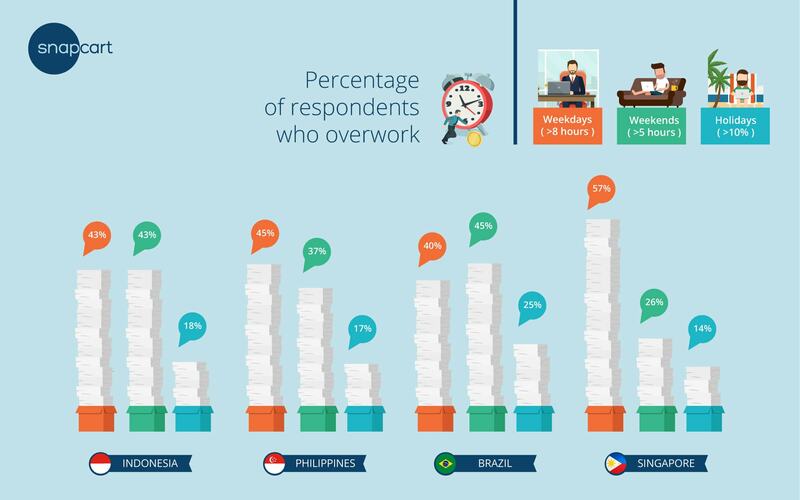 It most probably means that Indonesians and Filipinos might be better at finding a work-life balance than other respondents, namely Brazilians and Singaporeans! They also seem to be naturally more family-oriented than Singaporeans and Brazilians, which might help them to find work-life balance easier and do not change their values significantly. 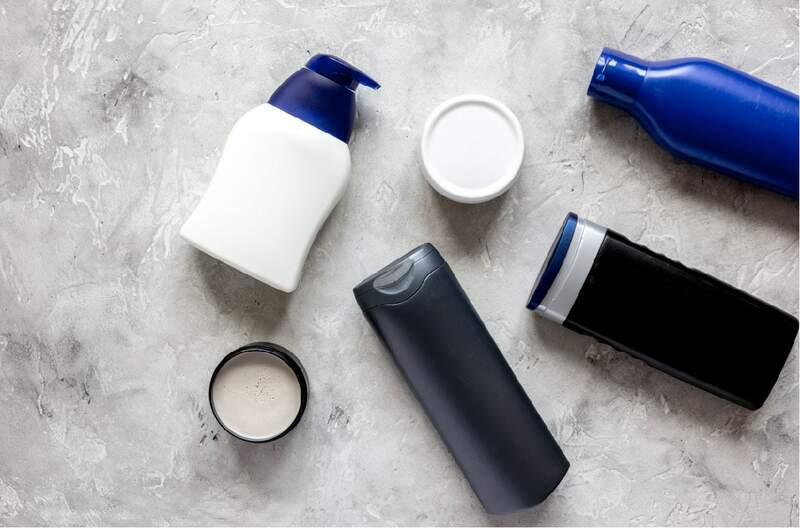 If we dig deeper into the data to find out how exactly the respondents’ priorities change, we have a look at their priorities before and after they have kids. The data shows that Indonesian and Filipino respondents’ priorities before having kids were Family, Work and Health (Family being the top priority), whereas for Brazilians and Singaporeans the priority order was different, i.e. Work, Family, Health (work being the top priority). In both groups, we can see that health is only a number three priority, probably because the majority of the respondents with no kids are still young and healthy and thus do not even think much about it. However, after looking at the top three priorities of the respondents who already have kids, it is easy to see that the data is quite different, and, most importantly, the same for all the four countries, i.e. Family, goes first, Health goes second, and Work goes third. It means that after people have kids, work dropped from the 2nd priority to the 3rd priority for Indonesians and Filipinos, while for Singaporeans it dropped from the 1st priority to the 3rd priority. It means that after having kids people inevitably change their priorities and value family and health more than the work and career. It also proves our hypothesis in the previous paragraph that Filipinos and Indonesians are naturally more family-oriented. Isn’t it important to know what exactly helps people achieve their career aspirations? When analyzing the data about what factors help respondents (both who have kids and who don’t) to achieve the career goals, it can be concluded that partner’s support and technology availability are the top two components that help the respondents from the four countries achieve their career goals the most. Indonesians, Brazilians and Singaporeans without kids value technology availability more than partner’s support, however, the situations change with the people who have kids – all the four countries’ respondents stated that the top component that helps them to achieve their career goal is their partner’s support. It means that having kids challenges both parents, and they need each other’s support to overcome the difficulties and achieve their career goals. Respondents were also asked if women can have it all (work, health, family, friends, and leisure). The data reveals that both groups (with no kids and with kids) have almost precisely the same opinion about the topic. The majority (over 80%) of the Indonesians and Filipinos answered “absolutely yes” to this question, whereas Singaporeans tend to be more sceptical about it, because a lesser number (over 50%) of people answered “absolutely yes” to this question. It means that Singaporeans are, firstly, more pessimistic compared to the others and, secondly, more stressed with the life in The Lion City. The latter might be because the living expenses there are higher; medical care, schools and kindergartens are also quite expensive. At the same time, Indonesians and Filipinos are optimistic, and the data shows that even women who already have kids have proven to manage their time so that they can have it all. According to the analyzed data, we can say that Singaporeans and Brazilians are more work-oriented before having kids, although Singaporeans surprisingly tend to not work overtime much during weekends and holidays. The majority of the respondents did not consider their health the top priority before having kids. Meanwhile, Indonesians and Filipinos seem to consider family their top priority and a lot of them think that having kids will completely change their life. Indeed, the values of the majority of the people in the four countries have changed after having kids, with family becoming the top priority and work dropping to the 3rd position after health. It means that people start to feel more responsible about their family and health, become less concerned about career. Having kids also inevitably brings its challenges, and the majority of the respondents starts to value partner’s support more than anything else to achieve the goals in their career. Filipinos and Indonesians feel more positive and believe that women can have a well-balanced life, as opposed to the Singaporeans who are looking more negatively at this possibility.